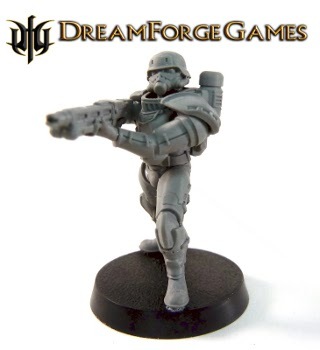 Dreamforge Games is starting a kickstarter project their new product line. Well folks, I need your help. If you enjoy my models and would like to see this product line launch, please head on over to Kickstarter and add your support to the project. If you're not familiar with the Kickstarter model, the way it works is you receive a reward for an accompanying pledge in support of my project. The more you pledge the better the rewards and the greater contribution you will make to this and future projects. Your positive participation will help a small independent company to grow and thrive and you gain the satisfaction of knowing you made this happen.